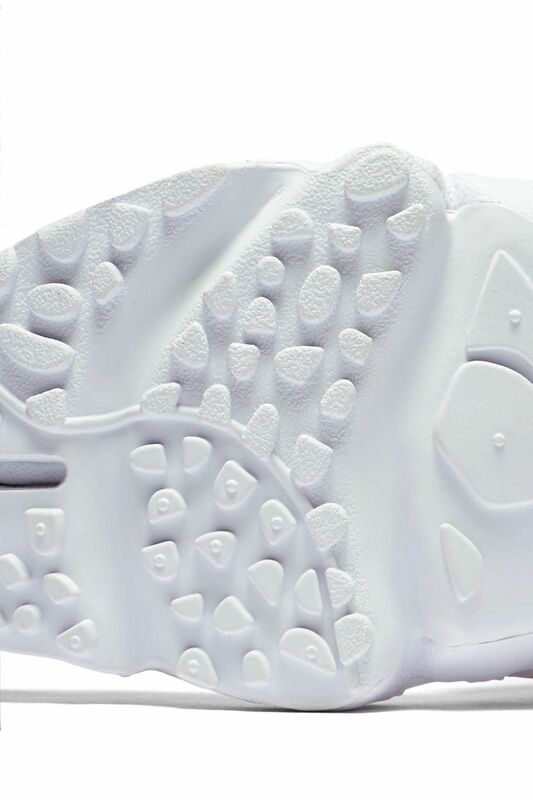 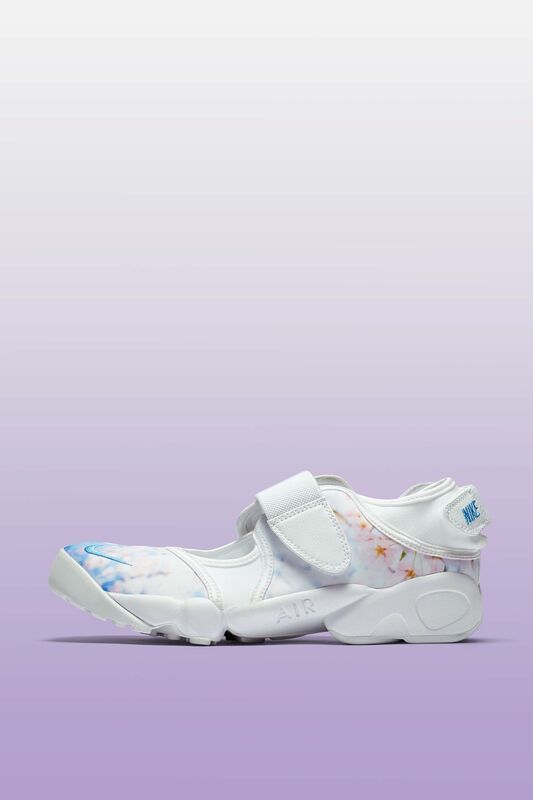 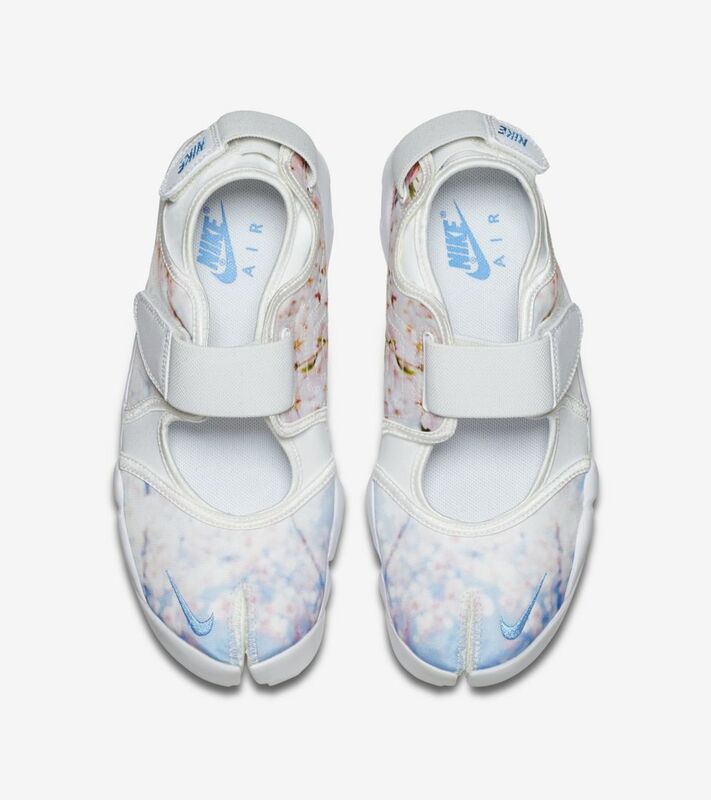 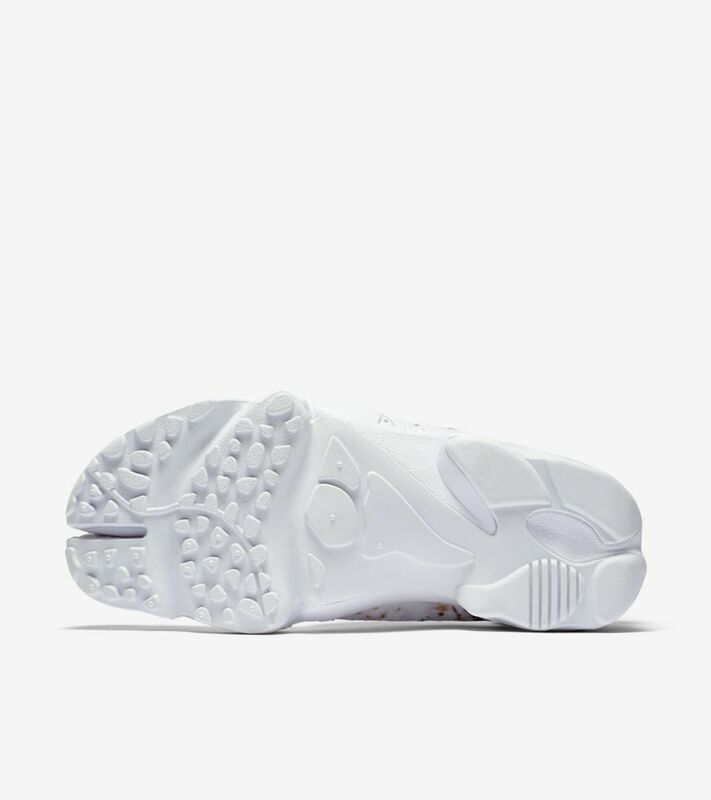 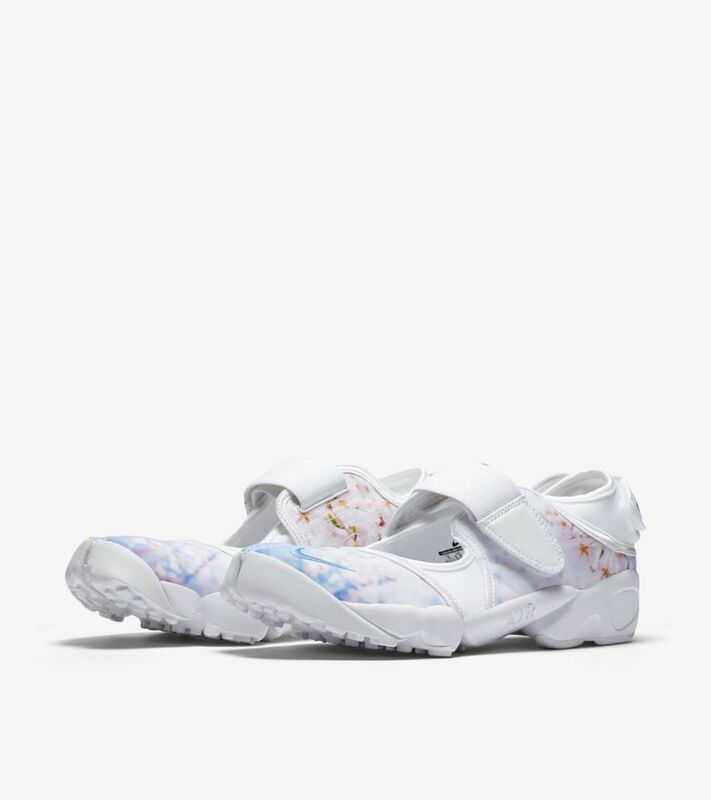 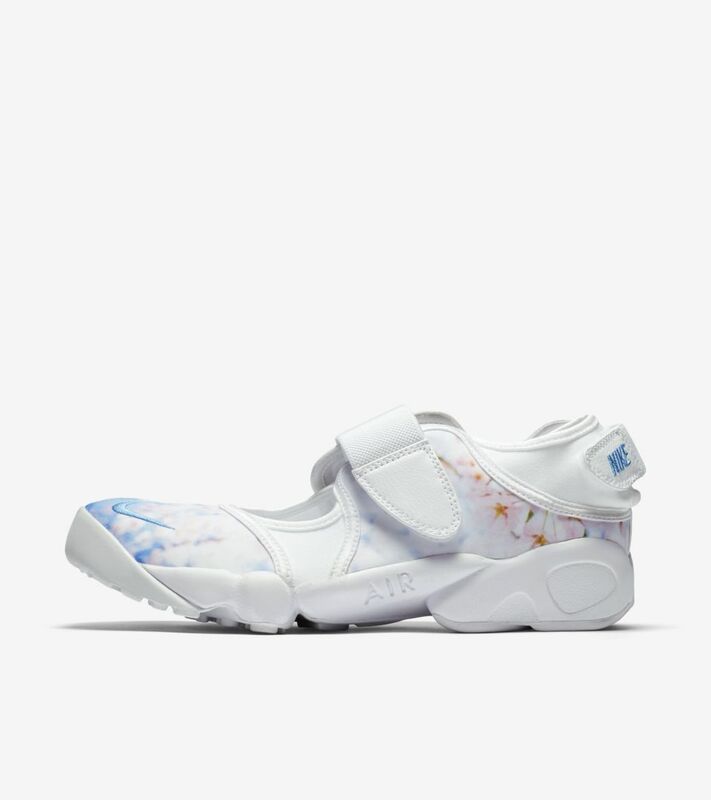 With a laceless and split-toe design, the Air Rift is as unique as it gets. 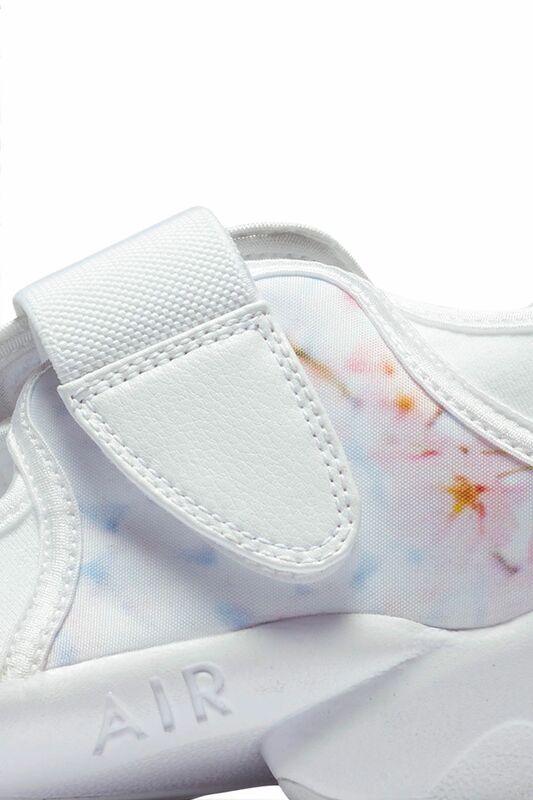 Its special nature now grows, with the ‘90s silhouette dressed in a unique print for the spring. 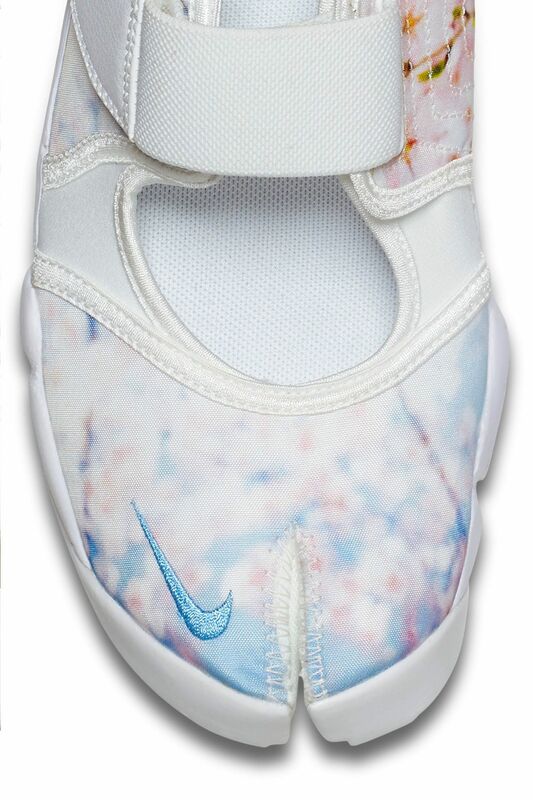 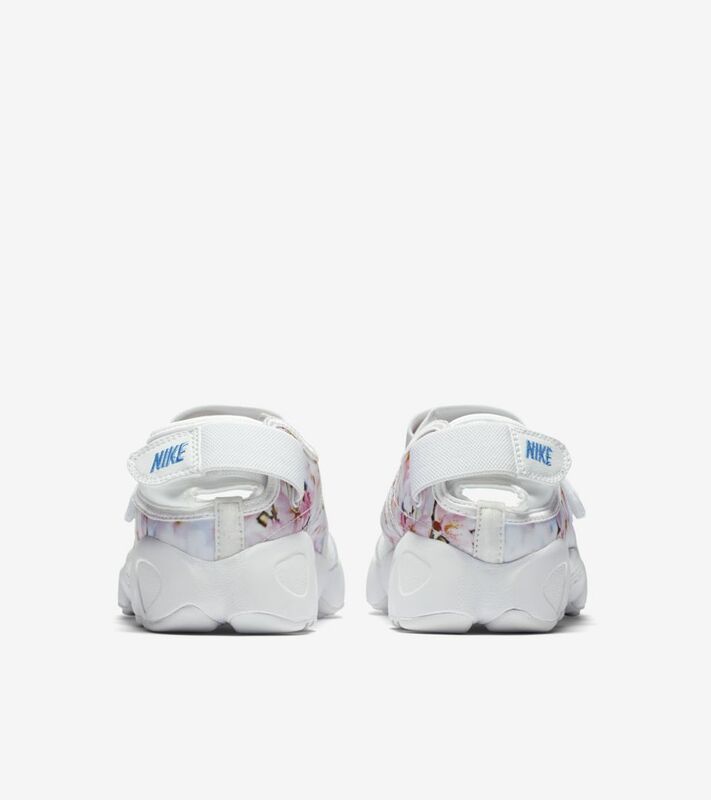 The refreshing look comes to life with a cherry blossom-inspired print splashed over a white upper.